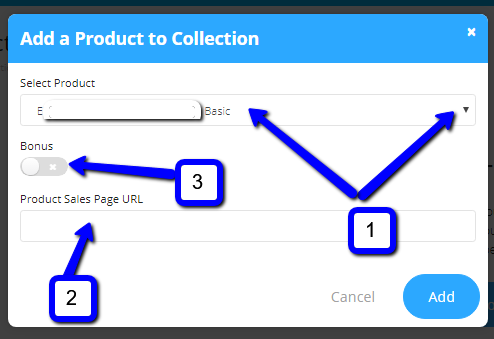 Once you have your products entered into your Products Dashboard, with the content loaded or accessed externally, you can then group them into Collections if you want. The main reason to do this would be so that your customers have only one login regardless of how many products they have purchased from you. This means that when someone buys any of the products in the Collection, he will be given login details to this collection. 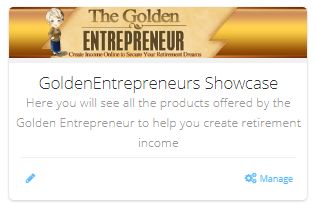 When you do this for all the products in the collection, the user will get one login to access all the products - he will see an "ACCESS" button for all the products he has paid for or that are free access or bonuses. He will see a "BUY NOW" button for any products that you have set as "Paid Access" and that he has not purchased. You have the option of choosing your own image and description. 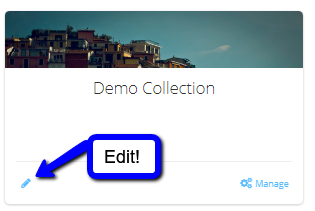 Just click on the pencil icon on the Manage Collection for this product. 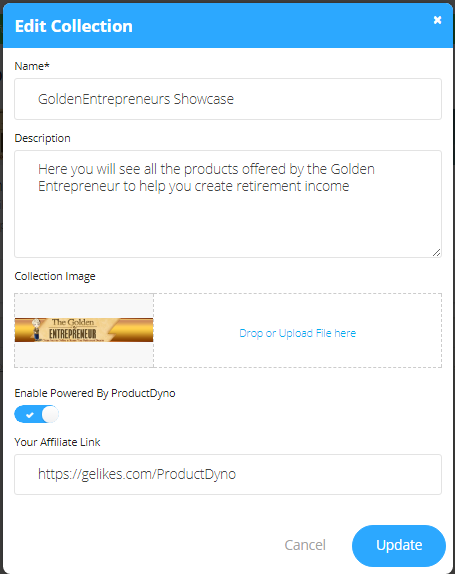 You can add a description, an image and make sure it is your affiliate link shown on your pages. When you click Update, your product will look much nicer!